Recruits healthcare professionals for the Canada and the Middle East. An international restaurant chain which has more than 70 branches in Saudi Arabia. Hut locator with map and branch details. International job opportunities in the medical and health care field in Saudi Arabia. 4 Saudi German Co Saudi Arabia. Saudi Arabia. Manufacturers of spunbond nonwovens for hygiene, medical, industrial and agricultural applications, from polypropylene. Technical information. 8 Saudi Basic Industrial Corp Saudi Arabia. Saudi Arabia. Diversified manufacturing company, active in chemicals and intermediates, industrial polymers, fertilizers and metals. Polyester staple fiber for yarn spinning and nonwovens manufacturing. Also, polyester filaments, chips and resins. On-line resume submission. English and Arabic. 9 Saudi Basic Industrial Corp Saudi Arabia. 10 Saudi Basic Industrial Corp Saudi Arabia. transportation, freight forwarding, logistics and distribution, in and from saudi arabia. Technical writing, translation, editing and review, and localisation. Based in Saudi Arabia. Supplier of high technology military and security equipment and services. Saudi Arabia. A financial institution based in Saudi Arabia with branches worldwide. Overseas medical and healthcare jobs in Saudi Arabia and the Gulf area. Banking and investment corporation. Has a network of 375 branches, over 700 ATM machines, and over 4000 POS installed with merchants in Saudi Arabia. Located in Saudi Arabia and Lebanon. Includes a gallery and contact information. Architecture, interiors, urban design, planning and engineering services. Locations throughout the U.S., and in Saudi Arabia and Abu Dhabi. Manufacturers and distributors of building materials in Saudi Arabia. Company profile and contact details. Overseas manpower consultants for placements, employment in Saudi Arabia, UAE, Dubai, Jordan, Bbahrain, Qatar, UK, and the USA. Designer and manufacturer of steel joists and floor systems with the facility located in Dammam, Saudi Arabia. Offers banking and investment services in Saudi Arabia, on Islamic principles, corporate profile, description of products, and careers vacancies. Young professional with BS in Business Administration - Marketing and work experience in training and Project Management. Located in Saudi Arabia. international freight forwarders and transporters based in jeddah, kingdom of saudi arabia, with branches in riyadh, dammam and dubai. international freight forwarding company based in saudi arabia. site provides online cargo tracking service. Supplier and installer of pro audio, video and lighting in the Middle East: Kuwait, Saudi Arabia, Qatar, UAE, Oman, and Bahrain. Products include Peavey, Shure, Otari, and Quantegy. pharmaceutical manufacturing company in saudi arabia. manufactures tablets, syrups, capsules, eye drops and ointments, and skin creams and ointments. 31 Ali Mubarak Ali A.
Saudi Arabia: Custom fabric printing for custom upholstery, artistic applications, VIP and corporate gifts, amenity bags, and clothing. See our selection of beautiful silk shawls. Graphic art services available. If the business hours of Helen Ziegler and Associates in may vary on holidays like Valentine’s Day, Washington’s Birthday, St. Patrick’s Day, Easter, Easter eve and Mother’s day. We display standard opening hours and price ranges in our profile site. We recommend to check out hziegler.com/ for further information. 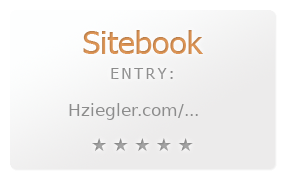 You can also search for Alternatives for hziegler.com/ on our Review Site Sitebook.org All trademarks are the property of their respective owners. If we should delete this entry, please send us a short E-Mail.